As Americans, we’re blessed to have so many beautiful and truly unique landscapes to choose from within our National Park system. 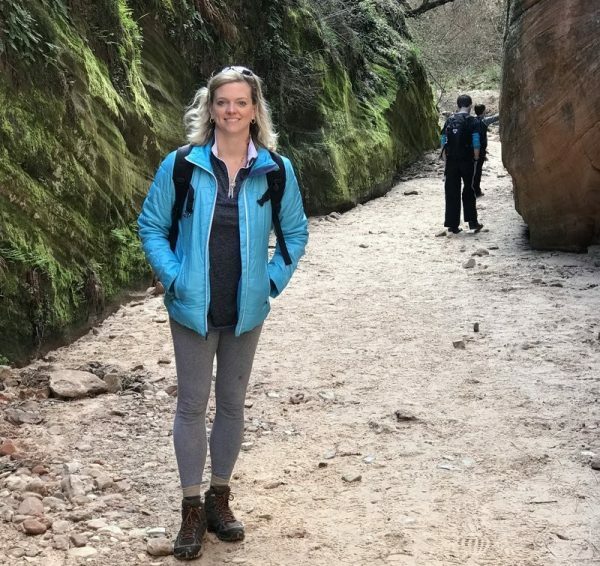 Because I’ve checked many of these amazing parks off my bucket list already, I want to share some National Park tips to get you started and help you prepare for your own bucket list trip. Note: This post contains affiliate links for which the blog may earn a commission if you make a purchase after clicking through. You never have to use these links, but we super appreciate it if you do! Many National Parks are not inside major cities, so you often have to fly to a major city and then drive a few hours to arrive at your chosen park. 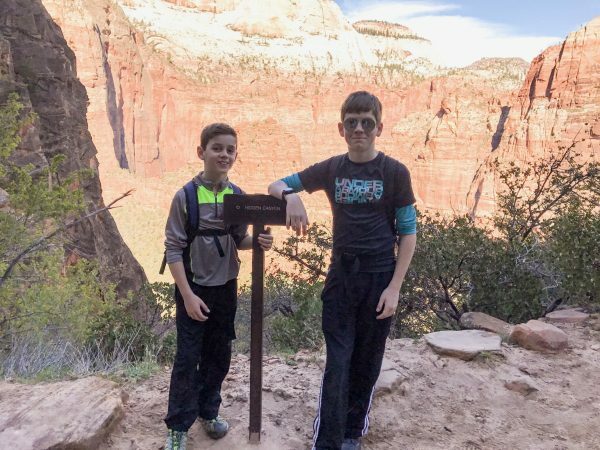 For example, we’ve flown to Spokane to reach Glacier National Park in Montana, about four-and-a-half hours away, and Lyn and her family flew to Las Vegas and drove about two-and-a-half hours to Zion National Park in Utah and then later on to Bryce Canyon National Park. Plan your trip well in advance, as some National Park lodgings fill up quickly, even up to a year (or more) in advance! This is especially true of the historic lodges inside the parks. You don’t want to miss out or be disappointed with your lodging choice by waiting until the last minute. However, you can keep checking back for cancellations, and it’s possible you could still snag one. Just make sure any other accommodation reservations you’ve made are fully refundable should you need to cancel. Campgrounds inside the park are plentiful if you like to rough it and/or don’t mind traveling in an RV. If you want to try driving into the parks in an RV, check out RV Share, the world’s largest RV rental company. RV Share says more than half of their renters visit a National Park! Staying in the park has great benefits like eliminating driving time and the option to be there early and late when the crowds are long gone. You will need a permit to camp, however, and these, too sell out quickly in some of the most popular parks. Try to reserve these a year in advance if you can, but it never hurts to check even if you are closer to your National Parks vacation. If camping is not your taste, a HomeAway vacation rental at a nearby home is a great option aside from lodges and hotels. Check the distance of the vacation rental from the park before you book, though, as some of these can be up to two hours or more away, wasting precious daylight hours and leaving quite a distance to drive at the end of the day. Many of these parks are a bit “out in the middle of nowhere” and may not have a lot of nearby infrastructure like restaurants and hotels, so you may end up having to drive to a nearby larger city to reach a decent hotel and for dining. 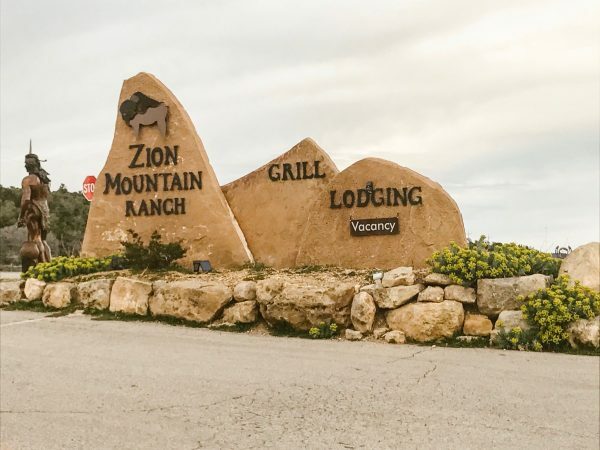 For example, when visiting Zion National Park, you can stay in nearby Kanab or Springdale. 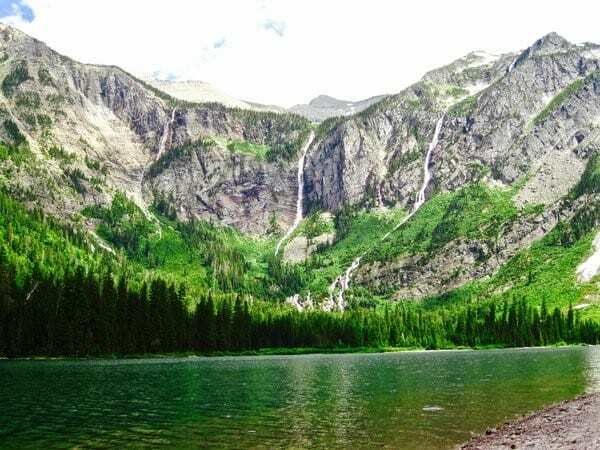 At Rocky Mountain National Park, you can stay in the more popular Estes Park or on the west side and lesser busy side of the park in Grand Lake. Directly before or after the summer rush, often called shoulder season, is a good time to visit, but you’ll need to check road and weather conditions. Some park roads are not completely plowed of snow until mid-June, and snow can start as early as the beginning of September! I remember being completely surprised by snow in Rocky Mountain National Park over Labor Day weekend, flatlander that I was at the time! 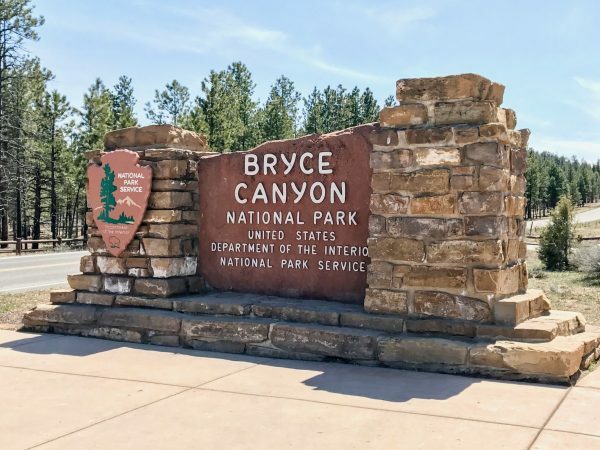 Lyn says when her family arrived at Bryce Canyon National Park in Utah in April it was snowing, as well. If you must go during the rush, be prepared for lots of cars, lots of people and some waiting times. You and your one million closest friends are all trying to see the same sites in the narrow window of three months during daylight hours :). It’s also a good idea to try and pick less popular hiking trails and routes, so you don’t feel like someone is passing you every 30 seconds :). TIP: Many National Parks have a “backcountry” area that is not served by the visitor centers thus most tourists do not know about them. You may need to camp to access these areas, but definitely inquire ahead of time. 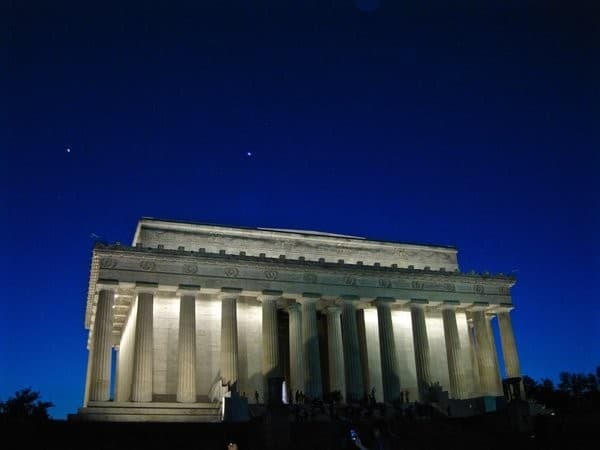 One National Park area that is easily accessible after dark is District of Columbia (Washington, DC) and its many monuments and memorials. In fact, seeing these sites at night was the highlight of one of my trips there. The last time I was able to visit, my husband and I took a night bike tour to see them all. TIP: Visit National Parks that are open at night for a unique and memorable experience with fewer crowds. 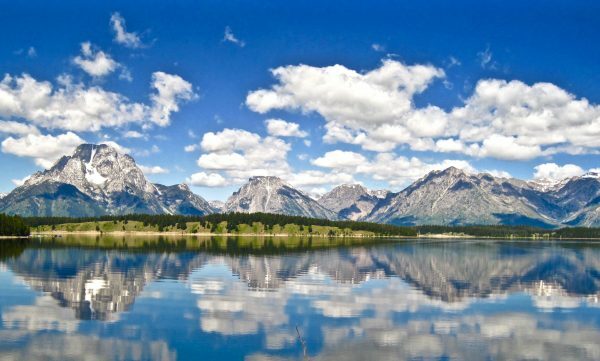 Did you know that there’s such a thing as National Park Week? Neither did I! It’s celebrated in April each year (for 2019, it’s April 20-28) and includes tons of special activities. Better yet, the Saturday of that week, all park fees are waived! There are also free entrance days such as Martin Luther King, Jr. Day, the National Park Service Birthday, National Public Lands Day and Veterans Day. Keep in mind, though, if admission is free, the parks will be even more crowded than usual (and they’re already pretty crowded most of the time), so weigh the pros and cons there. It might be better to pay the admission fee and visit during the week when the parks are likely to be less busy. When fees are not waived, the admission to parks varies from $3 to $25 and can be valid anywhere from one day to a week. Some parks, like Great Smoky Mountains National Park (America’s most popular), are always free! But when you have to pay, remember you’re supporting our National Park system, which is a wonderful thing! TIP: If you’re 62 years young (or older ;-)), you qualify for the Lifetime Senior Pass that allows you access to as many parks as you’d like for, you guessed it, your lifetime! It’s only $80 and includes your whole carload. What a deal!! Next, you may ask, what is there to do in National Parks? Stargazing is one of my favorite activities, because you’re away from all the lights of the city. On one trip, fellow travelers told us that we could see the Milky Way from the balcony if we were up about midnight. As tired as we were from a day of hiking, we forced ourselves to stay awake (well, at least one of us did and woke the other! ), and boy, was it ever worth it! The whole sky was filled with stars and the milky white that signifies the galaxy was in plain site. To get you started in collecting those things you’ll need for your trip, may I suggest a few items that I’ve found to be very helpful? For everyone’s favorite National Park activity, hiking, you’ll definitely want some sturdy hiking boots, first and foremost. Here are Amazon’s best-selling men’s hiking boots and women’s hiking boots. Lyn says she loves her Merrell’s. Make sure they’re comfy and broken in, so take a few hikes or walks at home in them first. If your ankles tend to get sore, choose boots with ankle support rather than just hiking shoes without ankle protection. The last thing you want is blisters on your feet as you’re trying to take in the beauty surrounding you. A pair of wool hiking socks (these for men or these for women) can also go a long way in keeping your feet cool, dry and free of blisters! When hiking, I always carry these two things: a hiking fanny pack, similar to this or this, or backpack that can hold two water bottles, snacks, tissues, chapstick, National Park passport book (see below), camera, bear spray (if needed) etc. By the way, in case you didn’t know, fanny packs are totally back in style! Pick up your hiking map at the visitor’s center or purchase one of the Best Easy Day Hikes series of books from Falcon Guides ahead of time. We find they come in handy when planning hikes, as it tells you the hike length, elevation gain, things you’ll see and more. 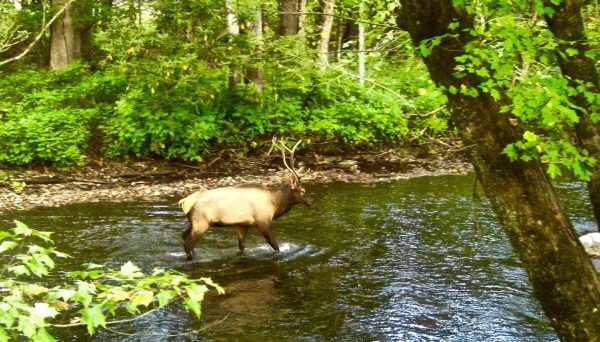 Another favorite activity is spotting wildlife from bald eagles to moose to bugling elk to a mama bear with her cubs to bighorn sheep and bison galore. You’ll want to pack your binoculars if you have room in your suitcase! Bring plenty of nourishing snacks, a picnic lunch and lots of water (probably double what you think you’ll need). You’ll want to make periodic stops, especially on a hike, to refuel after all the calories you’re burning. Be sure to drink water all along the way, as well, so you don’t get dehydrated. Many years ago when my family first started visiting National Parks, we ran across a book to record what we hoped would be many visits, as well as to help plan the next trip. 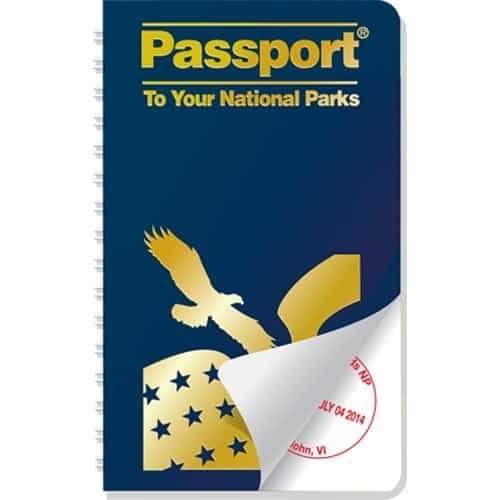 The handy spiral-bound travelogue, Passport to Your National Parks, lists 400+ parks/monuments and memorials and looks like a passport. 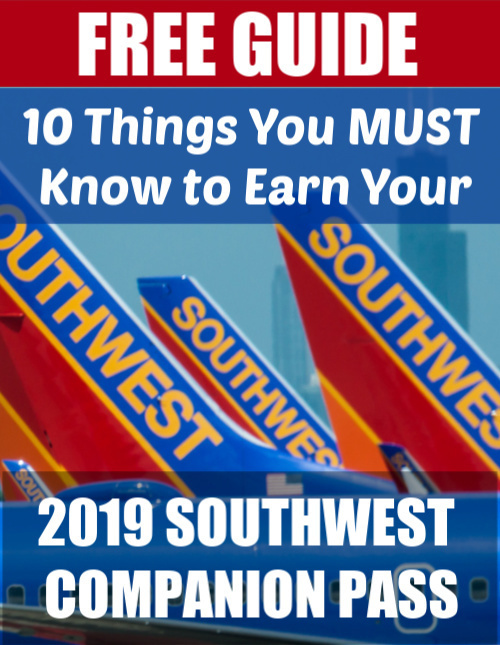 It’s organized by geographic regions and offers maps, important info and lots of space for stamp cancellations available at each park office complete with the date you visited. It’s inexpensive and an ideal way to jog your memory in later years of all the places you’ve seen. TIP: Ever heard of the Junior Ranger program? “Explore, Learn and Protect!” is their motto. Your kids and grandkids will have a blast doing all the activities in the booklets and earning patches and certificates when they connect with a park ranger afterwards. Is this your idea of a wonderful time? Have you visited a National Park lately? What tips do you have to share? For more information on our National Parks, check out the National Park Service. Thanks for this article. I have visited several National Parks in my lifetime, however, now I want to make seeing as many parks as possible a priority. Do you have to be a kid to participate in the Junior Ranger program? How come they didn’t have that when I was a child?! Thanks Lynda! So this link from the NPS says ALL ages can participate :).